When we think about main courses, it is generally dinner that comes to mind. But a main course for Christmas morning is fun to consider. 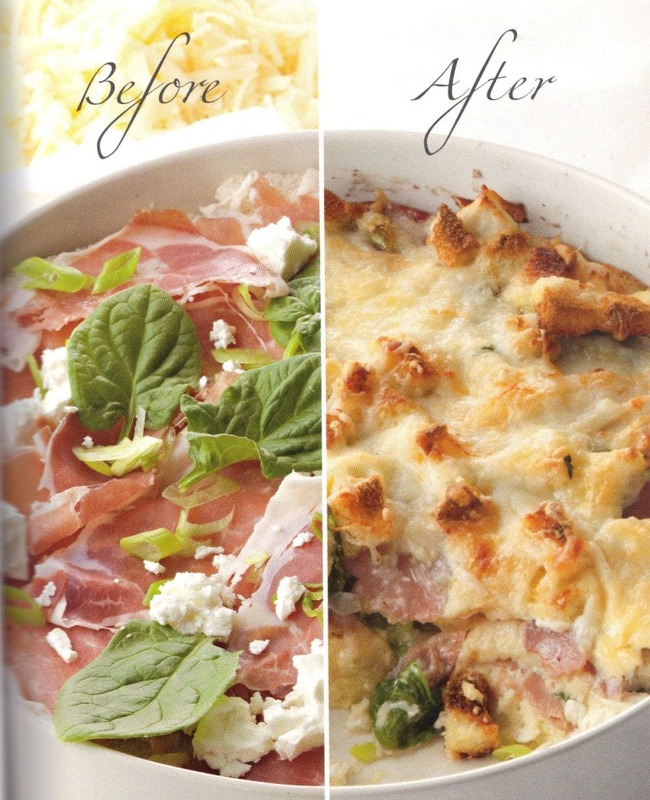 A great idea is to make a breakfast strata: Layers of bread, prosciutto, feta, provolone and spinach, that can be assembled the night before and baked while you open presents. The striations of ingredients soak up the egg-and-milk base. Baked for 1 hour, the result is custardy, rich, and quiche-like. Best eaten in your pajamas while sipping winter mimosas — made with tangerine juice and prosecco topped with pomegranate seeds.